The speedometer on Qtip (CSP’s truck) broke, so we took it in to be “scanned” so they could order the part. Then we stopped by our insurance agent’s office (who we’ve never seen except on magnets and letters, never in person and we’ve been dealing with him since 1990). Wanda was helping us with our flood insurance and car insurance when I heard this squawking. Do you have a bird in here?- I asked. They did not. Apparently they used to have a pigeon problem. So the owners of the building installed a “distressed bird call” machine on the roof directly over Wanda’s office. The thing goes off every 3 minutes. All. Day. Long. It’s a full 30 seconds of what sounds like a pissed off bird squawking and screaming. It is supposed to keep the birds away. There’s too much steel in the building to get good reception on a radio to drown out the noise. Poor Wanda. She said “It’s driving me to distraction”. I love when older people use older sayings. I swear though, I feel like calling her boss and demanding he get her some Muzak or an iPod or something. We were there 20 minutes and I about lost my mind over the noise! We stopped back by Aldi on the way home to pick up a couple more things. We’re doing some price comparisons. The items we bought yesterday were really good so this might be a regular shopping spot for us. While there I picked up some $4 peach wine. I use the term “wine” loosely. More like a giant wine cooler. Yummy. I’m a cheap drunk. Luckily it has a classy screw on cap so the rest is waiting in the fridge for another day. I’m easing my way into wine drinking. I’m just not a big fan of the reds. Or the whites. 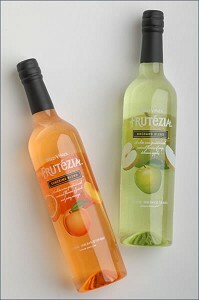 So that leaves me with Frutezia. Tomorrow we’re going down to see Momo at school, take her some supplies and take her to dinner. I can’t wait to see her! I’m not a big wine drinker, either. They just don’t taste that great. Which is why I’ve stuck to the pink ones….what are they called? White zinfandel, yes, that’s it. You can get them fairly inexpensive, too. Oooohhhh… takes me back to my college days… Boone’s Strawberry Hill. Turns out I have a sulfite allergy. Turns out I’m not too bright. Oh no poor Tongguu Momma!! My mom goes beat red when she sips certains wines because of the sulfites. That is funny Shanny.. when you go the wine stores look at the numbers, 0 is the driest 10 is the sweetest. The ice wines are usually 8-10. I like the sweeter wines myself, qewertzaminer (1 or 2) are what I like. 🙂 I used to work in a liquor store.. the stuff you learn! I bet she would like you to take her some fruity Wine! How exciting! I hope Momo is settling in well 🙂 Can’t wait to hear about it! sounds like I need to take you to a wine tasting!